About the Q button, you're totally right. The tutorial is one of the latest things added, and it's not well polished. The same for coins :( There should have been a final recap screen, showing your coin record, but we were too close to the deadline, and we decided to skip that feature and dedicate more time on debugging. Again, thank you for your enthusiasm! Uhm. This is really really rough. The 2d + 3d mix is interesting, but really incoherent. Mechanics need a lot polishing. The setting is a bit confusing. I'm not really understanding what kind of world you created. I liked the digging mechanic. Maybe arrows are not the perfect weapon to dig. What about a gun or something more... explosive? However I think this could be a interesting point to work on, because it's pretty unique. Here's my fast review of Junkdogs! The plot looks like a mix between Cowboy Bebop [for the mood], and Planetes [for the setting]. I really love them both. Dialogues are short but incisive, the graphics are simple but lovely. Music is really good and perfect for the mood. I loved the feeling they give. Puzzles are simple, but yet interesting and enjoying. 2- The battles. In general, calibrating battles with 1 vs many using a basic RPG battle system is difficult. You have a little variety of actions, and non-damage actions are in general a double edged-weapon. You can heal (oh good!) but when all enemies attack you, they inflict you mostly the same damage you're getting back. So healing is pointless. Heal becomes useful when you kill at least 2 enemies... but at that exact moment, you've already won. I've appreciated that the barrier doesn't consume a turn. This is a good idea. * Give the player non-standard turn durations. i.e. Final Fantasy X is a good idea on how to manage battles in which turns have different "timings"
* Or, directly: don't make battles in which you control only one player. Adding more characters avoid most of this problems and gives a lot of variety to the battles! I've tried the game, here's my impressions! I had serious problems with controls. Xbox controller is not mapped correctly (the movement was working fine, but not the other keys), so I've played it using the keyboard. To be honest, I've found the controls pretty bad, initially. Then, after a bit of practice, I learned how to use them. The main problem was that "W" is for jump, and space is the teleport. After a while, I discovered that the left-click could be used for teleport as well. I know it's written in the game page, but many player (like me) downloads the game from this page directly. I've appreciated the good difficulty curve and the level design in general. The jumps are well calibrated, even if I died a few times before discovering the double-jump. LOL. TUTORIAL! Maybe for the contest version, I would add a few more checkpoints, since sometimes it feels a bit frustrating because some colliders were not 100% polished. Summarizing, I think that this game has good qualities, and could be MUCH better with an initial tutorial explaining the controls AND the double jump as well. The gameplay choices are interesting. 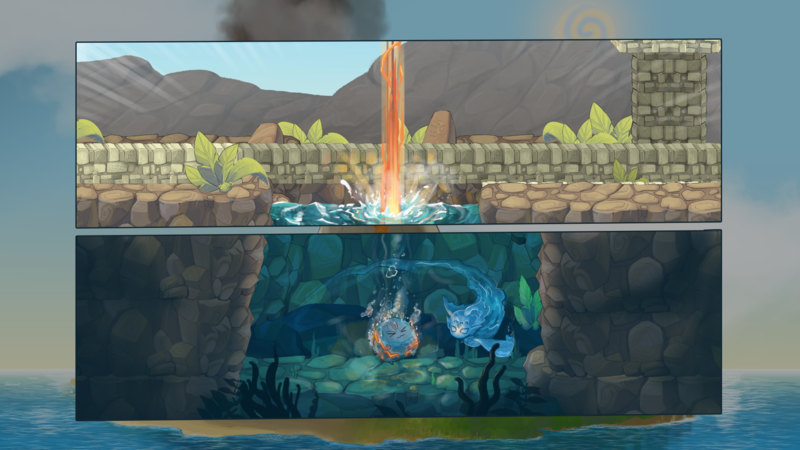 The killer feature is, of course, the teleport, that gives the player a LOT of air control. For instance, it can be used to pass through objects AND to stop the time while deciding what to do. This is a great approach, because it turns a frustrating game mechanics, like the "jump of faith", into an original and challenging gameplay sequence. Definitely, I think this is a good entry for this contest. I'd sure try an extended version. You make a very fair point, we've actually discussed whether to introduce an "explode" button or not quite in depth! The cons are the ones you mention: other powers are all "passives", so it feels a bit "left out" to have only one active mechanics, which we agree is kind of an issue. 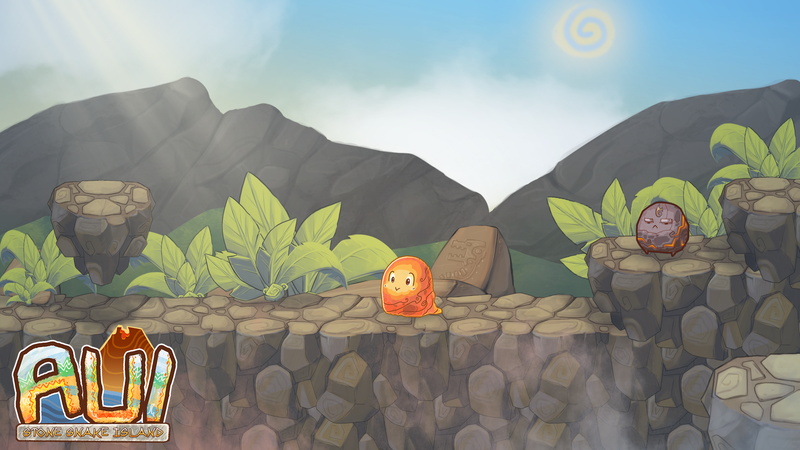 At the same time, if things were to burn on touch, burning would be very similar to "passing the bars" mechanics-wise - also without having a "choice" button, puzzles (like the platforms moving on explosion) would be less about reasoning and more about action (not necessarily a bad thing, just a direction we took). I've added this information in the installation instructions ;) thanks! Thanks for taking the time to play our demo and for your feedback! We had a lot of game mechanics mulling over our head, and we had a hard time deciding what to put inside the demo, what to leave out... and what to polish. Oh gosh this Is bad! I'm happy you could finally play it! Thank you :O Looking forward for your feedback! 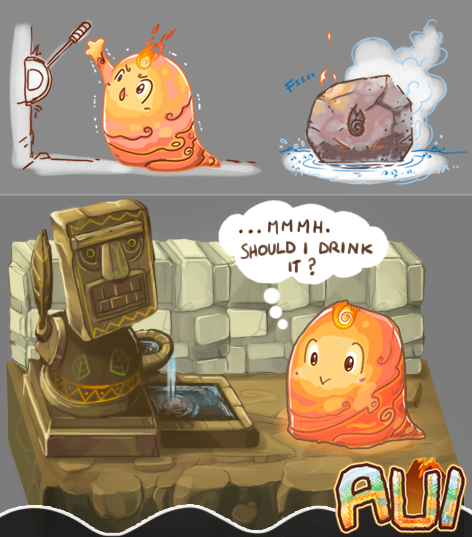 Meet the cutest lava slime EVER and master his many forms: It’s time for AUI!! 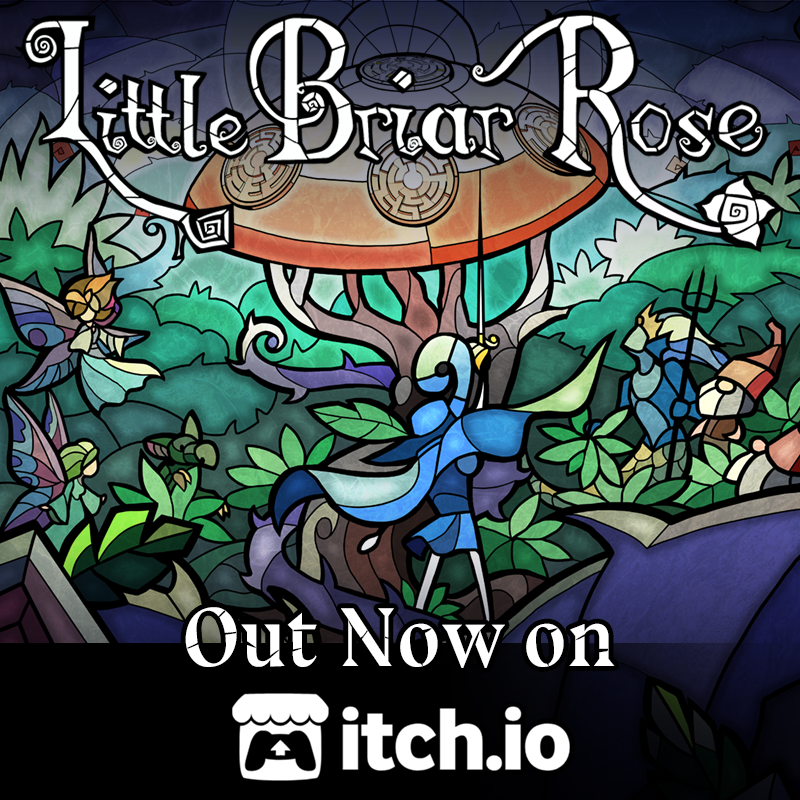 We are finally taking Little Briar Rose on itch.io with a special launch 50% discount for a week! Little Briar Rose is a Stained Glass adventure game, already out on Steam, iOS, and Android. We’ll soon share everything with you, so don’t forget to follow us here, on our Discord, and Socials! Thank you for you support! It means a lot! Yep, the game is not quite famous, right now. We are trying to show it around the best we can. This was a gameplay experiment, therefore solid feedbacks are very important to get what's wrong with the game! The Battle System would have needed a bit of polishing to speed it up a bit. We are focusing on it for the next update. Woho~ Thank you very much!